Maintaining a healthy balance of both wet and dry food for cats helps in their proper intake of macronutrients. In terms of nutrition, focus is more on the vitamin and mineral of both people and pets. Different brands of multivitamins and nutrients abound. These are called micronutrients. Aside from micronutrients, there are also macronutrients. The difference is that micronutrients are required in small amounts whereas macronutrients are needed in large amounts. These macronutrients are comprised of proteins, carbohydrates, and fats. These are needed for body growth, energy, and building mass. Macronutrients are taken through food consumption. Just like people, pets also require macronutrients. The primary source of macronutrients for pets are through commercially available pet food. These are available either wet or dry (in the case of cats and dogs). 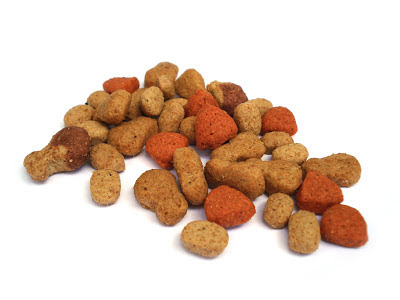 Dry food come in the form of pellets. While wet food are similar to canned food products. The debate on whether wet food or dry food is a matter of choice. Both wet and dry food contains the required nutrients for the proper feeding of pets. Even when provided with complex combinations of different wet and dry foods, cats are able to select and combine the foods in different amounts to achieve a consistent intake of protein, fat and carbohydrate, i.e. macronutrient intake. Published this month in the Journal of Comparative Physiology B, the research shows that cats regulate their macronutrient intake by altering their food selection despite differences in the macronutrient content, moisture level and texture of foods. The research was conducted by scientists from the WALTHAM® Centre for Pet Nutrition – the science centre underpinning Mars Petcare brands such as WHISKAS®, NUTRO® and ROYAL CANIN. It was undertaken in collaboration with scientists from the University of Sydney (Australia) and the Institute of Natural Sciences at Massey University (New Zealand). In a series of three experiments, cats were provided with wet and dry foods in different combinations. Within each experiment, cats were offered the wet and dry food combinations in two (naïve and experienced) diet selection phases where all the foods were offered simultaneously. This was separated by a phase in which the foods were offered in pairs (1 wet with 1 dry) sequentially in 3-day cycles. The findings showed that the cats achieved the same balance of protein, fat and carbohydrate intake when provided with pairs of foods over 3 day cycles as they did when offered all the foods simultaneously. Importantly, this macronutrient balance was remarkably consistent across all experiments despite the very different food combinations offered. The proportions of protein, fat and carbohydrate selected by the cats were in line with previous findings published in the Journal of Experimental Biology in 2011 showing that cats have a dietary macronutrient intake target of approximately 52% of their daily calorie intake from protein, 36% from fat and 12% from carbohydrate. These are similar to values reported for feral cats, indicating that domestic cats have retained the capacity to regulate macronutrient intake to closely match the "natural" diet of their wild ancestors. Commenting on the impact of the research, study author and WALTHAM® scientist, Dr. Adrian Hewson-Hughes noted: "This research has important implications for owners as it shows that cats are able to select and combine wet and dry foods to achieve their target intake of protein, fat and carbohydrate. In terms of products currently on the market, wet foods typically have higher proportions of protein and fat, while dry foods have a higher carbohydrate content." Dr. Hewson-Hughes continued: "Providing cats with a combination of both wet and dry foods enables them to not only mix a diet in line with their preferred macronutrient target, but also express their desire to sample different foods."